It's been way too long since I've done one of these -- here's the Gaming After 40 Video Podcast episode 43: Cracking the Wrap! Video game trading cards used to be popular -- in this episode, we open a couple of vintage sealed packs from 1982 and 1992. This week, we're tackling a fairly obscure BASIC adventure for the TRS-80 Color Computer -- Killer Mansion, author uncredited, published by T&D Software in 1982. YOU ARE A DETECTIVE IN A LARGE CITY! A [sic] INSANE MAN HAS RECENTLY ROBBED A BANK, KILLING THREE PEOPLE AND RUNNING OFF WITH ONE MILLION DOLLARS! YOU SUSPECT THAT THE CRIMINAL IS HIDING OUT IN A [sic] OLD ABANDONED MANSION! YOUR MISSION IS TO FIND THE TREASURE AND THE MONEY BUT BEWARE, THE CRIMINAL IS WAITING FOR YOU!! The interface is all text, but provides a compass rose in the corner of the screen indicating the available exits. The standard screen layout displays the current location, visible objects, and a command line; if we use the INV command, the screen switches to an inventory display -- then it's impossible to get back to the room display without doing something, like moving to another room or interacting with an object. 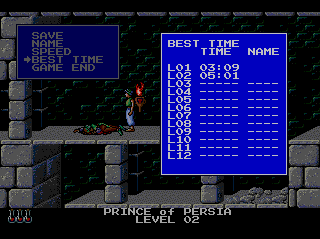 Only three characters are significant to the parser, and the BASIC engine is rather slow to respond, so if you're playing via emulation you may want to crank up the simulated clock speed. The story begins in a hallway with a broken light fixture, some cobwebs, and a cracked mirror. LOOK doesn't work with the parser, but EXAMINE does. EXAMINE MIRROR yields, YOU SEE A WIERD [sic] OBJECT IN THE MIRROR! (pause) YUK! ITS YOU!! So this game isn't inclined to ingratiate itself with the player. GETtable objects have to be picked up before they can be EXAMined. And some things that should logically be portable are not; this can generally be taken to mean that an object is window dressing and irrelevant to play. A newspaper in the living room features the headline, CRIMINAL ESCAPES KNIFES COP; RUNS OFF WITH LOOT!! Just to remind us about the plot, and it make it clear that punctuation is really unimportant as far as this game is concerned. OPEN STOVE in the kitchen results in THE DOOR BREAKS SETTING OFF A BOMB THAT BLOWS YOU OUT OF THE MANSION!! TRY ANOTHER BODY AND ANOTHER MANSION!! So we will have some unforeseeable deaths to deal with, and in fact this happens if we try to OPEN just about anything in the game. A MANEATING WATCHDOG in the sitting room presents an issue - THE DOG WILL TEAR YOU TO SHREDS UNLESS YOU DROP SOMETHING RIGHT NOW!! WHAT WILL YOU DROP? If we try to drop something we actually don't have, the game replies with its usual questionable grammar: YOU DONT HAVE THAT!! YOUR DEAD!! THE CRIMINAL IS PLANNING ON ATTENDING YOUR FUNERAL!! Really? That doesn't seem wise on his part. Trying something else to appease the dog, like the newspaper, produces THAT IS THE WRONG THING! THE DOG JUMPS ON YOU AND KILLS YOU! Okay, now this is getting annoying; we can't even leave once we've encountered the maneating dog, so we'll just avoid the sitting room for now. The kitchen has a counter, a sink, and a scampering rat (who will appear in several other locations and is just window dressing.) The den has an antique desk and a row of shelves. OPEN DESK sets off a fatal bomb, of course. This criminal seems almost suicidally thorough -- one can easily imagine him making an absent-minded late night trip to the refrigerator and succumbing to his own trap. The layout of the house is a bit strange -- the dining room has a stove in it, we encounter a PANTRY *and* a FOOD STORAGE room, and two DENs. The trap door in food storage is another bomb trap, of course, and a closet contains a flattened out hat (fixed resolutely in place) and an old chicken bone. Another storage closet contains a broom and a locked dresser. A bucket in the laundry room reads (well, EXAMines -- there's no READ verb) MADE IN HONG KONG. There's quite a bit of reused text, which generally means those items and descriptions aren't really relevant; for instance, every one of the rugs LOOKS LIKE IT HAS BEEN WALKED ON RECENTLY. The bathroom contains a towel, a rusty faucet and a plunger; the strangely-named FRUIT ROOM has a dirty glass jar and cobwebs. Trying to enter the COAL STORAGE ROOM south of the COAL ROOM establishes that YOU WERE HIT FROM BEHIND AND KILLED BY THE DANGEROUS CRIMINAL! BEFORE YOU CAN ENTER THAT ROOM HE MUST BE DEAD! The game's feedback and design often seem to be post-hoc in nature -- it's too bad we had no way of discovering this earlier, and that the game provides no SAVE feature. A small room contains a half-eaten and unlicensed WHOPPER, as well as more STRANGERS FOOTPRINTS (how do we know they don't belong to someone we know???) and a blood stain. If we enter the HIDING ROOM -- another odd name -- we find a small key, but are then jumped by the bad guy. A text display indicates a fight (THUD!) and then we RUN! until suddenly, YOUR ONLY CHANCE IS TO USE SOMETHING! WHAT ARE YOU GOING TO USE? I tried GUN, assuming that as a police detective I might be carrying one, but only learned that, according to the game's inscrutable logic, it's no good: YOU DO NOT HAVE THE RIGHT WEAPON TO DEFEND YOURSELF! YOU DIE!!! At this point, we've explored most of the mansion, and it seems this game's plot is all about killing the bad guy and solving whatever puzzles remain. Dropping the chicken bone from the closet gets us past the maneating watchdog, whose affections are easy to buy -- he is now a FRIENDLY WATCHDOG. To the east is a SECRET ROOM with a CONTROL PANEL bearing red, blue and yellow levers. This is probably the game's biggest challenge, due to a maddeningly obtuse and inflexible design -- USE LEVER yields CANNOT FIND THAT. PULL LEVER produces only I DO NOT UNDERSTAND THE VERB! PUSH RED -- I DO NOT UNDERSTAND THE VERB. MOVE BLUE almost looks like progress, as the game replies, MOVED IT BUT NOTHING HAPPENED, but moving the other levers doesn't do anything interesting either. USE RED is similarly misleading: OK.. NOTHING HAPPENS! We actually have to MOVE PANEL -- and then we can choose which lever we want to move. Ack! Past this sticking point, we learn that using the RED lever causes us to fall out of the window with skull-crushing force. BLUE dumps us into the guest room on a bed, but we lose all of our inventory items and might as well quit and start over. YELLOW tosses us around and ultimately sends us to a dungeon, apparently in a new part of the mansion. The dungeon's Torture room has an old skeleton, but we can't GET it or EXAMINE it (because we would have had to GET it first.) We can MOVE SKELETON, though, to find a KNIFE, which we can hope will be more useful than the gun. The JAIL room contains an ice pick and a locked door, and we can USE PICK to escape this remarkably insecure dungeon and return to one of the dens. This amazing ice pick cannot be used to open the locked dresser or an intriguing chest, though. We can't open the desk in the guest room either, it's also booby trapped despite the watchdog guarding the area. The attic contains a locked chest and another newspaper, with the same headline as the other one. This criminal likes to collect his own clippings it seems. And if we try to OPEN CHEST, it also blows up. Sigh. The game's poor grammar extends to the inventory limit system -- we can only carry four items, after which we are told YOU CANNOT CARRY NO MORE. Sigh again. With the knife, at last, we can kill the criminal -- THE CRIMINAL FALLS BACK, HIS LAST WORDS ARE, 'THEY WILL NEVER FIND IT, IT IS TOO DEEP!' It sounds like it's buried somewhere, whatever "it" is. Since the criminal is dead, we can now get the small key and visit the Coal Storage Room, which has a suspicious dirt floor. A piece of crumpled paper reads, "'X' MARKS THE SPOT." While there's no such marking visible here, we can use a handy shovel to dig until we find a chest. We USE KEY -- since we didn't try to OPEN the chest directly, we can safely do this -- and we are done! So we've found the money and killed the bad guy -- there's no sign of any additional TREASURE as mentioned in the introductory text, but at least it's all over and we can return to the land of decent grammar and proper punctuation. Killer Mansion isn't difficult, but the design is haphazard and sloppy -- play is very trial-and-error, despite the limited vocabulary. We just have to try to pick up, use and move everything until something gives, and after we've winnowed play down to the essentials there isn't really much to do; my walkthrough (below the fold, and available at the CASA Solution Archive) wraps the whole thing up in under 40 moves. 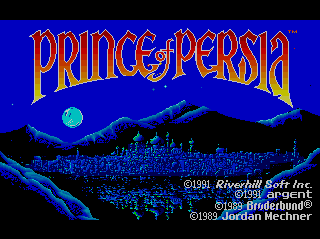 I've played the (somewhat expanded) SNES port back in the 1990s, and the more recent HD remake for XBox Live Arcade, but I am sampling the PC Engine CD-ROM version for the first time here. 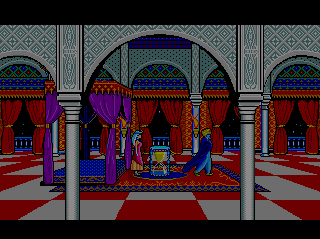 It was licensed by Riverhill Soft for the Japanese market, and the only notable differences from the original US edition are that the opening text is in Japanese, this CD-ROM version features atmospheric orchestral music, and the game manual features manga-style renderings of the game's handful of characters -- our hero the Prince, the evil vizier Jaffar, the Sultan's daughter, and some sword-wielding thugs. 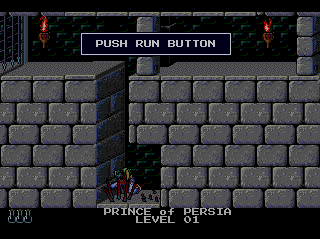 The level designs and controls have not been modified, and such was Prince of Persia's popualrity at the time that post-NEC marketer Turbo Technologies Inc. released this version (in English) in the States for the struggling Turbo Duo. The PC Engine version has been dressed up a bit -- the backgrounds are more colorful, and the character sprites are more detailed. The Prince and his enemies now feature distinct clothing and colors, without compromising the fluidity of Mechner's animation, aside from some visual noise and jumpiness induced by the additional detail. 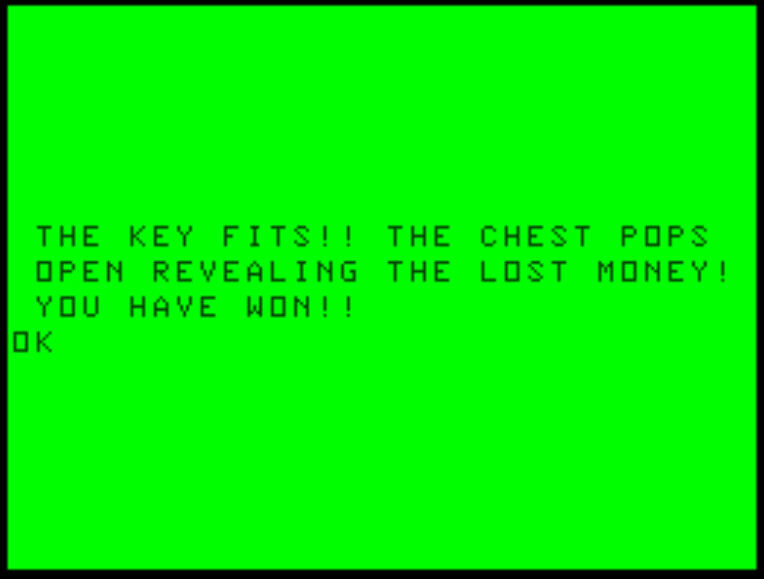 Mechner's simpler color scheme was probably a wise choice and not just an Apple II limitation, but a few years had passed and the visual state of the art was moving on; the updated graphics certainly don't interfere with the gameplay. Making difficult jumps, landing on the desirable switches and jumping over the undesirable ones, and battling sword-wielding guards who become increasingly difficult to defeat provide most of the action. The level designs become subtly more difficult as we progress, with more complicated puzzles and larger stretches of territory to cross before we can stop to rest. 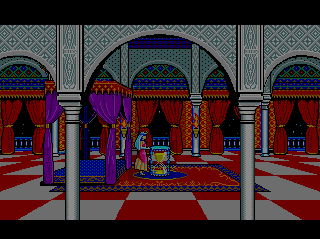 There are semi-hidden upgrade potions that extend the Prince's life, and there are also poison potions which are visually indistinguishable from the normal potions; learning and memorizing which ones are which is part of the challenge. 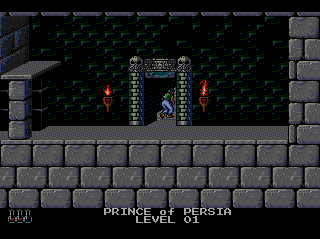 There's nothing quite so satisfying as finally getting the dungeon's exit door open, and climbing up another level. Each time the Prince dies, we have to start over at the beginning of the current level with all of its enemies and dangers reset. The only thing that doesn't reset is the game's ever-ticking 60 minute clock -- a death costs us not only frustration, but precious time. It's this time element that usually shuts me down -- I'm not ashamed to try and retry a difficult section, but when I find myself getting hung up on a tricky jump near the very end of level 2, and just getting to level 3 with half the Princess' time gone, I know I won't be rescuing her during this run. So, yes, I'm not going to be able to tell you much more about this one. 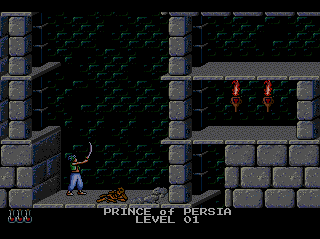 But Prince of Persia is a classic game that's well worth getting to know, and I always enjoy spending some time with it. 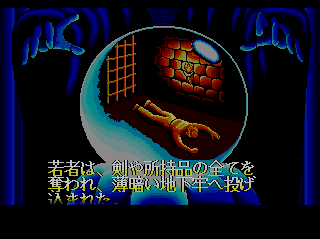 The PC Engine version is solid, faithful and very playable, and the CD-enhanced audio and upgraded graphics make this one of the most polished ports of its era. It's well worth a play -- just be forewarned that the 60-minute time limit does not necessarily imply that this game can be played through in an hour. It only means that you have to stop playing in an hour. Domestic versions abound at affordable prices, but should you be interested in the PC Engine CD, it might be available for purchase here. WiiWare -- One new game this week, Big Bass Arcade from Big John Games -- it's patterned after Sega's classic fishing coin-ops but as a downloadable title suffers visually from limited textures and simple models. Maybe I'm just bitter because I wish that second "B" was not sitting there in the title, taunting me with dreams of a more expansive experience. DSiWare -- Two new titles this week. Come on! Heroes is a tower-defense game with cute anime stylings, and a fun concept -- an heiress has left her father's mansion, and decided she does not want to return, so the player must help her defend herself from the men sent by her father to bring her home. Battle of the Elements sounds like an RPG but it's just yet another match-N puzzle game; they're not just colors, but elements, you see. 3DS eShop -- The two DSiWare games are also available here, plus the Game Boy classic Metroid II: Return of Samus. It's a smaller-scale adventure than any other Metroid game, but it still provides plenty of action and exploration. XBox Live Arcade -- Nothing new here this week, which is unusual, but there are a lot of good existing XBLA titles on sale at a 25%-50% discount this week. This week, I am finally returning to a short series I started playing about a year ago, with William Demas' Forbidden Planet Part II, a.k.a. Forbidden City, published in 1981 for the TRS-80 Model I/III computers by Fantastic Software. Forbidden City is, of course, a sequel to the earlier game, Forbidden Planet Part I, and is dedicated onscreen to the University of Nevada Las Vegas computer department. 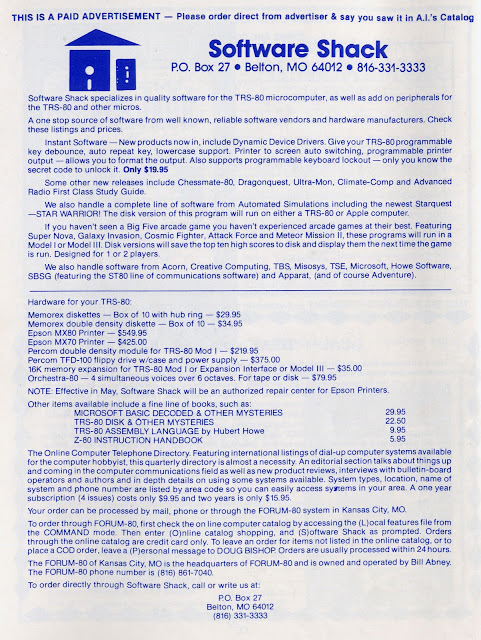 Fantastic Software and Mr. Demas were both based in the Vegas area at the time. Bill Demas had several games published by Scott Adams' Adventure International, and was heavily involved in Adams' Adventure #12, Golden Voyage. The two-game Talking Adventure series appeared in 1981 for the TRS-80, and since playing the first one, I have learned both games were remade in 1985, under new titles for the Apple Macintosh computers, with the digitized voice removed, a new mouse-based interface and hi-res black-and-white graphics added. I plan to document the Mac editions in the future, but wanted to finish the series on the humble TRS-80 first. So why did it take me so long to get around to playing this sequel? Well, I had started it shortly after the first game, and was making good headway, but I got hopelessly stuck very near the end of the game (details below, in the spoilers section). Fortunately, after I ran a short article with some new information received from Mr. Demas, reader Gaël got in touch -- he's a French Macintosh game enthusiast who was trying to track down this series' author, in hopes of finding a copy of the Mac game Utopia, the remake of Forbidden Planet Part I. 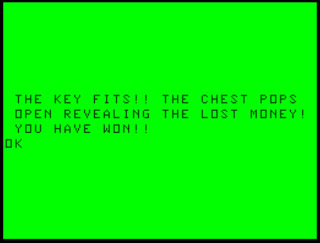 And Gaël's published walkthrough for the Mac sequel, Futuria, a remake of this game, gave me the information I needed to finish the TRS-80 original! 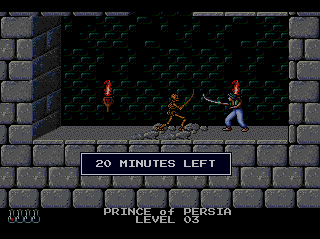 So I owe a big debt of gratitude to a very dedicated adventure fan, William Demas, and the Internet. The game follows the established Talking Adventures model, but the voice samples are briefer this time, and I did not run into the "play beyond bounds" audio bug/glitch I encountered with the first game. The voice samples are used more appropriately here, often when announcements are played or robots are talking, which makes the audio more atmospheric than the first game's parser feedback. And we hear both female and male voices, another pleasant change, though most adventurers will still want to turn off the voices after a while. 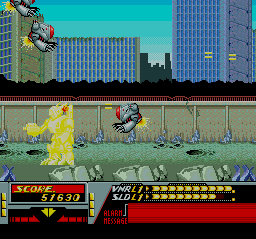 Forbidden Planet Part II is a fairly straight sci-fi tale, without the cameo appearances by ogres and centaurs seen in the first game, and most of the gameplay consists of figuring out the switches, keys and levers scattered around the map. We begin this second game game exactly where we left off at the end of the first, standing on the shore of the strange lake. The lake is still poisonous, of course, so trying to GO LAKE remains a bad idea. There's a door with a small speaker nearby, and a sign gives us... an encoded password? What about the one we were given at the first game's conclusion? Ah -- this is an optional puzzle that we can use to decode the correct password if we don't have it; that's a nice touch. We can't SAY the wrong thing to the automated door's query, either, as the parser simply responds with I don't know what "[entry]" is if we misspeak. Once cleared for entrance, we have to travel some distance west in the long metal tunnel -- and we eventually reach an advertising sign reading, "Have you completed part I of "Forbidden Planet" yet? ", which would be a pointless question if not for the password clues. We keep traveling W until we reach a point with an opening, and after we go through the opening, it seals behind us. Further down the street, a graphic of a robot appears, holding what appears to be one of those drinking bird novelty gadgets, at least as portrayed by the TRS-80's limited graphics. But we are informed that Robot has a gun, and if we are unlucky, Robot shoots me! I'm DEAD! So we will be dealing with random attacks again, and should focus on trying to find some means of self-protection against these trigger-happy machines. The city's transportation center has a crystalline cube with a red button, and a monorail. If we PUSH RED, a cube begins whining, and eventually explodes; we can escape the danger by hiding in the monorail, but what we really need to do is GET CUBE and use it to blow up the robot by throwing it before it blows up. Just before he goes to the great Radio Shack Discount Bin in the sky, the Robot says "Stop" or "Stop alien", but we will ignore his directive, given the gun in his mechanical hand. Inside the monorail, a rusty lever won't budge; the blown-up robot leaves behind some unspecified Robot parts, laying in a pool of oil. We can't just GET OIL though, so the lever will remain rusty for a while. The monorail also has a control panel with a green button, a lever, and a slot, but we don't have anything to put in the slot just yet. A nearby Laboratory area contains a strange (portable) device, some chemicals and a beaker. We can MIX CHEMICALS, but doing so is fatal. We might be able to use the beaker to obtain the oil, and we can if we are successful at wrestling with the parser -- GET OIL / WITH BEAKER doesn't work, but FILL BEAKER does. With the lever oiled and the token inserted in the slot, we can settle in to WAIT quite a while (six turns) before the monorail reaches its destination. A robot waiting at the other end of the monorail starts following us after we arrive, though he is patient about taking us out. A control panel in the grotto nearby has a yellow button and a slot, but we can't INSERT TOKEN here; we can, however, PUSH YELLOW to enter a dark area and find some more tokens. (We are expected to use the rod for lighting purposes, but if we know our way around we can safely maneuver in the dark.) Now we can escape the robot by getting on the monorail and using another token to go back where we came from. Piloting the monorail requires a little bit of effort -- we have to PUSH LEVER initially, but for the return trip, we can PULL LEVER. And can PUSH LEVER a second time at the first stop to go to a construction site (which is lit). There's a strange structure here, being assembled by robots -- it appears to be a nuclear reactor, and we can pick up a canister made of lead. Exploring the area turns up a plastic card, which seems magnetic, a green key, and a storeroom containing a very handy laser pistol. The laser pistol has a knob and 80 charges; SHOOT ROBOT vaporizes any armed robot in the vicinity. We have to do this a lot at the construction site, as they just keep coming, but we must be careful to SHOOT ROBOT one at a time; if we try to SHOOT ROBOTS they attack en masse and we're dead. Before we leave the construction site, we actually need to step inside the reactor, where we find a red key, which we will need, and some atomic waste, which is the last thing we need. It doesn't take long before I feel sick, and later My hair is falling out, and finally I die of radiation poisoning. We could probably use some protection, but there doesn't seem to be anything useful in the area. So it's back to the monorail and on to our next stop at the outskirts of the city. A building off of a forlorn road has a red button, and a small box found lying in the road has a red button and a green button. We will leave it alone for a moment -- our most immediate goal is to PUSH RED inside the building, at which point an announcement says, "Decontamination complete." This future technology can apparently actually repair radiation damage already sustained, and we need to do this if we hope to continue the adventure. And we need to do it quickly -- there isn't a move to spare, and if a robot decides to start pursuing us we just have to hope we can get decontaminated before he shoots us. I discovered that we don't actually have to close the door in the monorail -- we can travel safely with it open, which saves a few moves, and it's handy to keep inventory items inside the railcar until we need them. Other experiments established that we should not open the lead canister found at the reactor site, as the glowing stone inside is highly radioactive, and that if we TURN KNOB on the laser pistol, it self-destructs. This explosion won't destroy the numerous robots at the construction site though, so we shouldn't do this either. And the strange device we found early on is just a radiation gauge -- it glows bright red in presence of atomic waste, in case we are unfamiliar with the dangers of said nuclear byproducts. Returning to the small grotto, we can use the red key in the slot to turn power on in that area (INSERT RED, TURN RED, PUSH YELLOW.) We can also try to INSERT the GREEN key -- and the voice is actually helpful here, as the screen display says simply, Sorry but the voice further explains, "It doesn't fit." With the power on, a light beam allows access to an underground room. The control panel here has a two-position lever and a green button, there's a screwdriver in the steel chamber to the north, and we find a metal platform in a small metal room. A storeroom contains a deactivated robot, with an empty slot. The metal platform turns out to be an elevator, with buttons marked 2 and 3, and we can INSERT CARD to activate it. Level 2 has many dangers -- the security outpost is staffed with numerous robots, and it is very likely that Robots spot me and attack! I'm DEAD! What's worse is that using the platform appears to consume the plastic card, but in fact, it somehow ends up in the hands of the deadly robots. There's a green light beam here, but TOUCHing it vaporizes our hand, so we don't want to do that. We also need to pick up a cartridge in this area. We seem to be stuck here, but if we LOOK FLOOR we can find a vent, and with the screwdriver from Level 1, we can OPEN VENT / WITH SCREWDRIVER. A robot can still follow us into the narrow vent, and it seems there is no way out, until we learn to CRAWL. This takes us to the Security Control Station -- we can INSERT GREEN (key) here, and PUSH RED, to deactivate all the robots! Whew! And our pass card gets returned to the slot on the platform. Now we can INSERT CARTRIDGE into the deactivated robot, and it follows us. With the robots deactivated, we can use the exploding laser to blow up the security door on Level 3. The control panels become a bit repetitive -- there's not much variety here -- but we want to use the yellow key found here back in the security control station on Level 2, inserting the key and pulling the lever to open a door on level 3. A force field still blocks access to the Lead Room on level 3, but the robot, once activated, can make sense of the nearby switch room with its overwhelming number of levers and buttons. We can only GO FIELD after the robot helps us out here. As it turns out, we can't transport the lead canister on the metal platform, which is more of a matter-transfer device than an elevator, because Radioactive material causes a malfunction. I materialize extremely malformed, which is not a good thing. We need to revisit Level 1 and use the green button there to transport the canister to the Lead Room. There is some transuranic waste here, and it's deadly, so we should SAVE GAME before we start experimenting and figuring out how to dispose of it with various combinations of PUSH LEVER or PULL LEVER and PUSH GREEN on Level 1. If we leave an activated enemy robot wandering around, we can't shoot him later after we've deactivated the security 'bots -- once we have activated the "good" robot and it follows us, the game will no longer let us SHOOT ROBOT. So we should mop up any stragglers before turning off the security robots that are NOT following us around. Once we have the canister safely transported to Level 3, we can GO into the force FIELD. This leads to a corridor with a window, where we can see outer space. We GO PLATFORM to reach the Launch Control Station, which sounds like it may help us get out of here at last. We find the hangar doors open, and the space ship closed. PUSH YELLOW opens the space ship, but touching the lever seems fatal. If we TOUCH BEAM past the force field, then I'm sucked out into space. I'm DEAD! This does not seem to be based on the space ship's closed/open status, so we need to PUSH RED and PUSH GREEN on our control box in this area to fix the situation. PUSH RED closes the hangar doors, and PUSH GREEN opens them. With the hangar doors closed, we can open the ship's door safely, and then GO SHIP. Aboard the space ship, PULL LEVER closes the door, and we can PUSH to open it again. Here's where I got stuck. It seems clear that the glowing stone in the lead canister is needed to power the ship, and we can enter an empty compartment with the friendly robot in tow. If we DROP CANISTER there, PUSH RED causes the robot to take the glowing stone; this ought to be a good thing, but we die of radiation poisoning immediately thereafter with no chance of decontamination. I felt like I must be close to the end, but I couldn't quite figure out how to get the stone into place without dying from the radiation. PUSH RED didn't seem to work outside of the fueling compartment, and if we try it in the room with Many colored buttons & levers, the command pushes something else and the ship blows up. Fortunately, Demas' later Mac port Utopia and Gaël's walkthrough saved me after several hours of beating my head against this puzzle. The parser confuses the box's red button with the remote control unit's red button, and the button on the box takes precedence only outside of the space ship's compartment room. So while I was trying to PUSH RED in various locations, it only seemed to work in the radiation room and not anywhere else. I could witness the robot taking the glowing stone out of the canister when I pushed the remote control's red button at that location, but then, of course, I died of radiation poisoning, and I couldn't seem to use the remote to trigger this action from anywhere else. As it turns out, we have to get rid of the two-button box to fix the parser's confusion, and ultimately PUSH RED on the remote control unit from a safe distance back at the launch control station, which is the only other place that the remote will work. With all this straightened out, the robot now announces that the ship is now fueled and we are ready to go. All we have to do now is go back to the ship, close the doors and push the green button (which apparently opens the hangar doors as well as launching our ship) -- and victory is at long last ours! Forbidden City was quite an adventure -- it was fairly challenging to explore and learn how everything was supposed to work, and the constant barrage of enemy robots requires constant attention to what's going on. Sadly, there were no more Talking Adventures published, but the existence of the later, retitled Mac versions means I will be revisiting this world at some point. My walkthrough is available at the CASA Solution Archive, and is included here, below the fold. 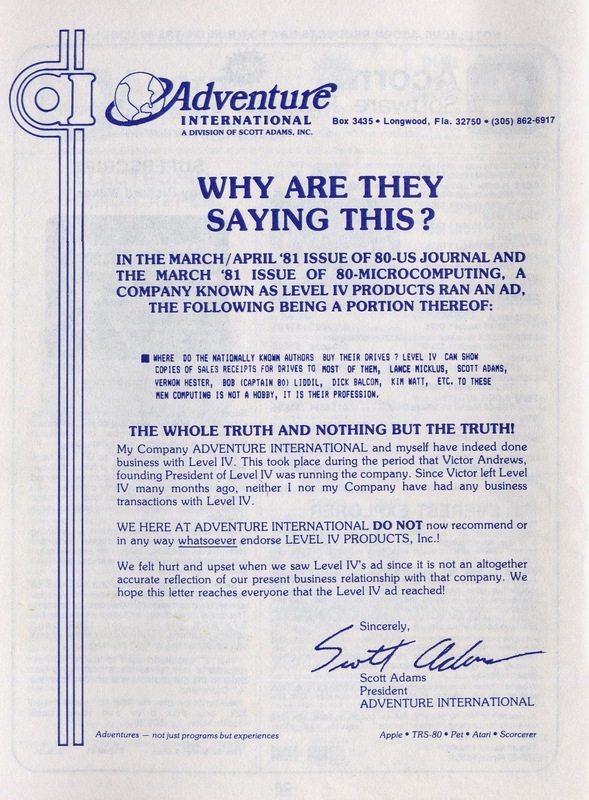 I actually had the opportunity to visit the Adventure International Computer Center back in the day during a family trip to Disney World -- it was my first experience of a computer store that was not Radio Shack, and at age 13 it was extremely cool to see all these products I'd only seen in the catalog actually hanging on the walls in all their poly-bagged glory. 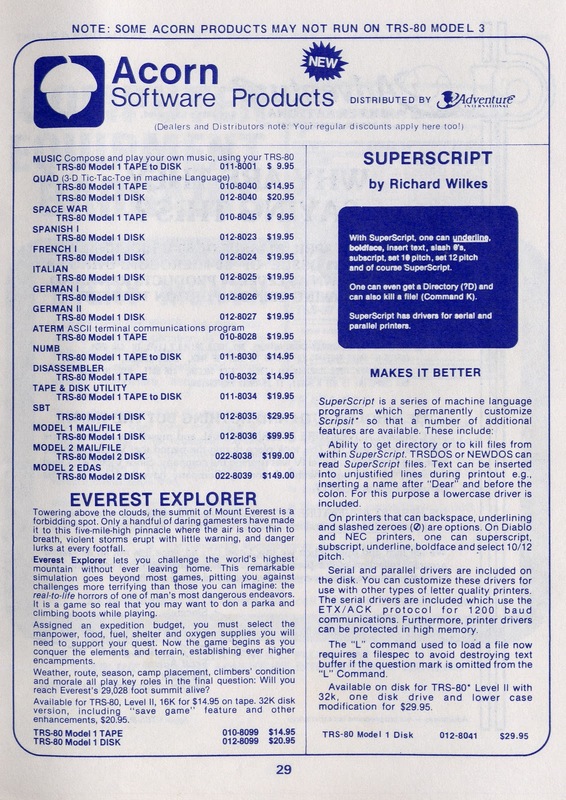 And the company had its own BBS as well, the Adventure Forum-80, which I never had the chance to try out. 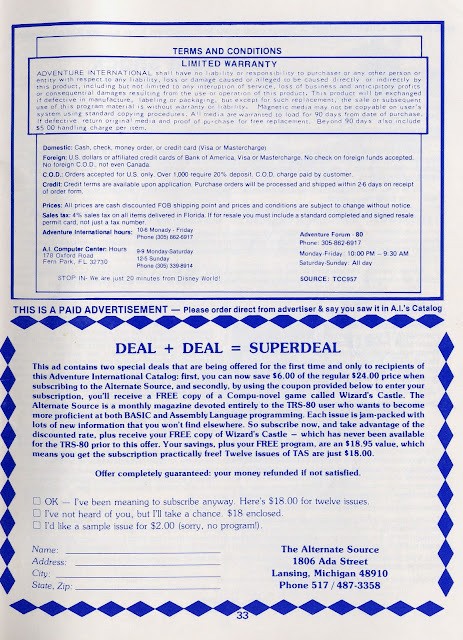 The Alternate Source was an early home computing magazine, and the promotional bonus Wizard's Castle was apparently a text adventure/RPG hybrid written in BASIC that appeared on a number of platforms after originating on the obscure Exidy Sorcerer. The best information I can find online indicates that only 18 or 19 issues of the magazine were published between 1980 and 1984, and that it was bi-monthly rather than monthly, so a twelve-issue subscription starting in 1981 would probably have just about covered the rest of its life. 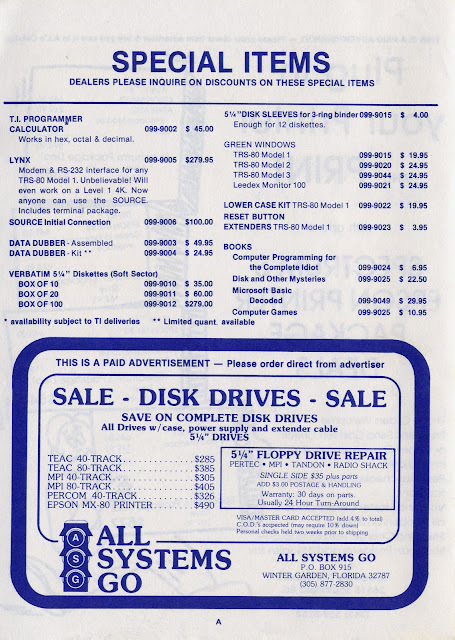 What's most interesting about Software Shack is that, while its full-page ad provides few specifics on products or pricing, it was running a FORUM-80 BBS that provided an online catalog and ordering system over modem -- a genuine forerunner to today's largely Web-based software market, aside from the fact that any software ordered would still be delivered on physical media. 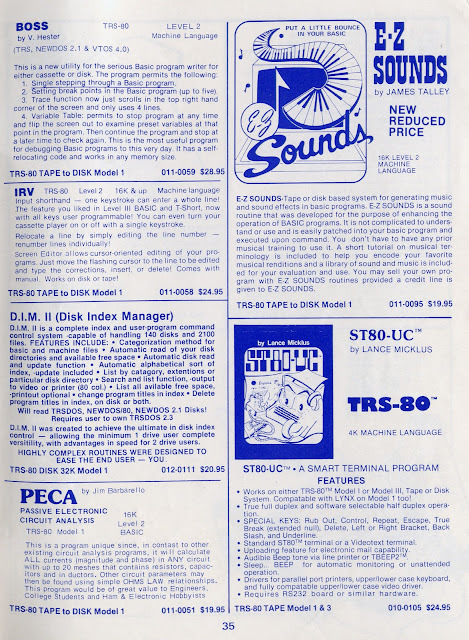 BOSS was an enhancement package for the TRS-80's built in Microsoft BASIC interpreter; IRV a keyboard macro processor; and D.I.M. II a diskette catalog/index utility. PECA was a niche product (even by 1981 standards) aimed at engineers and hobbyists designing circuit boards or other electronic projects, allowing the user to model the design and calculating the power flow through up to 20 combined components, if I'm reading the ad copy right. E-Z Sounds was a utility by James Talley (Kid-Venture) providing routines BASIC programmers could call upon to provide sounds in TRS-80 projects -- the system did not officially have sound output per Radio Shack's design, but enterprising programmers figured out how to modulate the system's cassette audio output to produce sound effects, even digitized speech. And Lance Micklus' ST80-UC was a standby for many early modem users, emulating the classic ST-80 smart terminal for use with academic and commercial mainframe systems. At last, we have reached the catalog's back cover -- does anyone still have a "WHIZ" T-Shirt? I also note that the entertainment software industry seems too young to be suffering a "HOT FLASH" in 1981, but it's just a last-minute announcement that the pre-Broderbund edition of Galactic Empire we saw back on page 20 is now available for the Atari home computers. It's a reminder that these publications were still cut-and-pasted together by doing actual, physical cutting and pasting of printed typeset material and pictures. The Macintosh and Adobe Pagemaker were still several years away. And with that, we are done with one of the thickest vintage catalogs in my collection. Scott Adams pioneered adventure gaming on microcomputers, and he also saw the potential in the home computing industry. His company was one of the many that perished during the mid-80s industry crash, due at that time to business factors rather than any incipient demise of text adventure games per se -- that would take several more years. 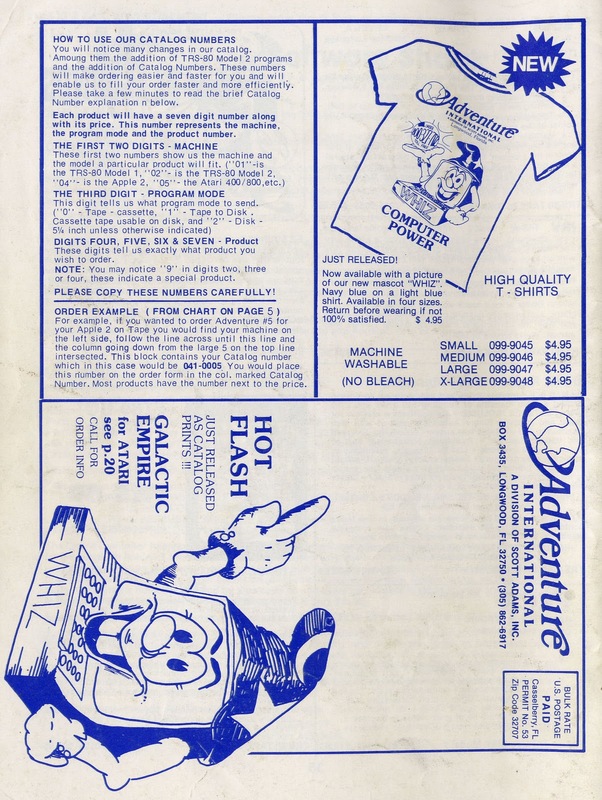 But in 1981 Adventure International was just getting started and had an ambitious lineup of products for sale. I hope you've all enjoyed this little trip down nostalgia lane. I have no idea what we're going to be looking at next, but I'd better get cracking! We're just about done with our tour through the Spring 1981 Adventure International catalog... and I almost forgot about this two-page advertising insert! Scott Adams founded his company to publish his own adventure games and other products, primarily for the Radio Shack TRS-80 in the early days. 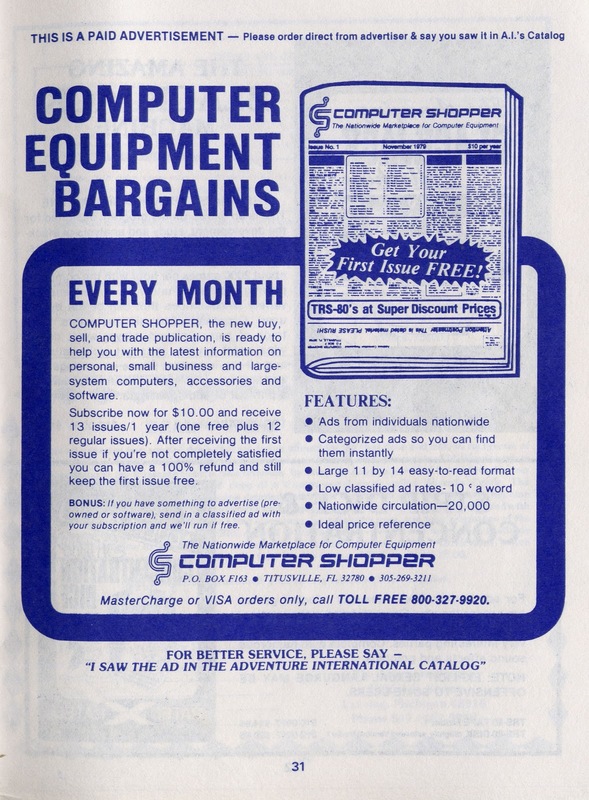 And before mass-market computer magazines existed, it made sense for other companies -- even competitors -- to advertise in his widely-circulated (by 1981 standards) catalog. These products and ads apparently arrived too late to make the regular print run, but were added as a stand-alone page inserted into the regular catalog. Most of these are recognizable items -- disk drives, modems, books and diskettes -- but a few of these offerings were very TRS-80 specific and deserve some explication. The GREEN WINDOWS were simply green overlays designed to fit the standard TRS-80 Model I, II and III 60 Hz black-and-white monitors, to provide a more professional green-on-black look better suited to long hours at the computer. The LOWER CASE KIT added true lowercase characters to the budget-minded Model I's built-in font ROM -- while the machine could represent the full ASCII character set in memory, the standard model reused the uppercase characters for lowercase display, making it impossible to distinguish between the two onscreen. Radio Shack offered its own upgrade kit, but cheaper aftermarket kits were very popular too. Finally, we have the RESET BUTTON EXTENDERS -- the Model I's reset button was hidden under a door on the rear of the keyboard/CPU unit, and most users ended up removing the door. Even with the door off, reaching the button tended to require hooking a finger blindly into the casing from a normal seated position, so a simple plastic extension on the reset button was deemed handy. Just a few more pages to go, tomorrow! 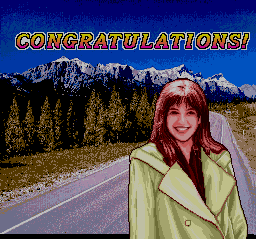 Road Spirits: Pleasant Game of Courteous Driving! 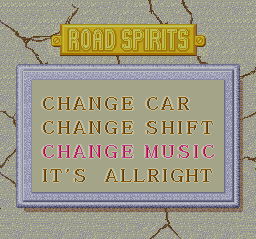 That's not the actual tagline for Road Spirits, a 1991 Japanese racing game published by Arc Co. Ltd. and Pack-In Video for the PC Engine CD-ROM format, but it's the most appropriate one I can come up with. 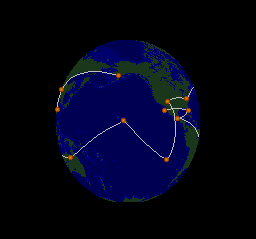 This globe-trotting auto racing game inspired by Sega's OutRun provides seventeen courses scattered around the globe, in no logical order whatsoever. 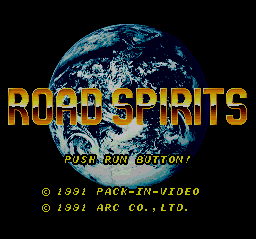 Road Spirits was never released in the US, but the game is entirely in English so it's no problem for import gaming purposes. Unless, of course, you were hoping to do some actual gaming. I really should have taken a hint from the post-title screen -- in fact, I tried not to be ready, I really did. 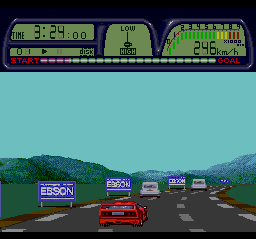 But claiming unprepared status only takes us to the options screen, where we can select one of the four available vehicles -- we will see these same four vehicles onscreen throughout the game as our competitors, and while they have varying dashboard displays they all seem to handle about the same. We can also switch from a two-speed to a five-speed transmission, and select a music track before deciding that IT'S ALLRIGHT and we are ready to race. Once we have made our car and transmission selection, they are locked in for the duration of the game; our most recent race status, and record times for each course, are retained in the PCE's game-save memory. There are 10 CD-audio music tracks, most of which are laid-back, jazzy 80s pop tracks, except for the bizarre track #10, titled "Q Chan," which sounds like a classical chamber jug band. 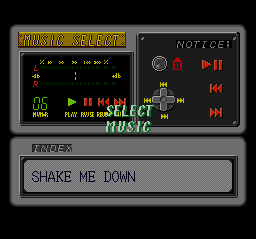 There are 10 tracks and 17 levels, and it's nice to have the option of changing the music once in a while. 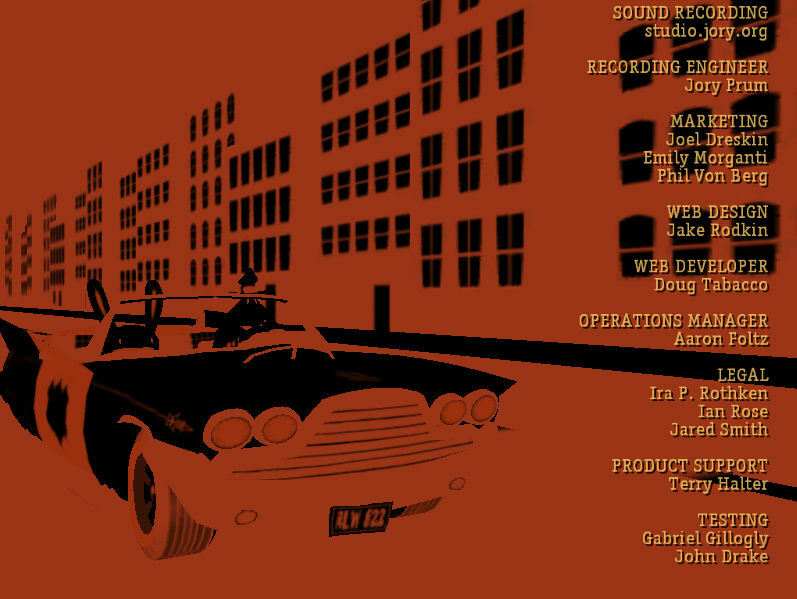 Some tracks are reminiscent of the OutRun tunes, and I'd say the music is the best part of this disc. Road Spirits is not difficult, at all -- there are no competitive racers on the road, so all we have to do is maintain control, weave in and out of the sparse traffic without crashing into other cars or roadside objects more than a few times per track, remember to shift into high gear for maximum speed, and get to the end of each course before the four-minute timer is up. I finished the entire 17-course game in under 90 minutes, and never once ran out of time. I'm not particularly good at racing games, but I was able to maintain a comfortable cruising speed, drifting through the curves by letting up on the accelerator now and then (the brake button is rarely needed) and finishing each track on the first try in around three-and-a-half minutes. 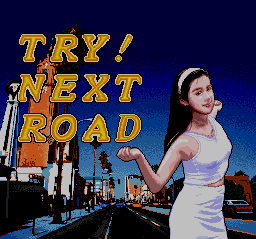 Our reward for completing each course is an appearance by a comely Japanese lass urging us to Try! Next Road. Too bad we don't really have to try. The simple game engine means that all of the tracks are fairly flat -- there are some mild inclines and dips, with the horizon moving up and down, but even in the Swiss Alps we're driving on a pretty flat surface. The course sequence is strange, emphasized by the between-level map that shows our zig-zag course Indiana Jones style, with animated transportation -- we travel by plane, train, helicopter, even the Space Shuttle to get from one location to another as the game progresses. The full scrolling text reads, "CONGRATULATIONS! YOU ARE REAL ROAD SPIRITS". Then the display recaps our time for each track, which we have been seeing repeatedly between levels anyway. Road Spirits is not a terrible game, but it's so mind-numbingly generic and easy that it's more of a travelogue than anything else. Driving past Moai heads on Easter Island while listening to pleasant music isn't the worst way I've ever killed a few hours on the PC Engine, but I'm glad I didn't import this one back in the day when Japanese games cost upwards of $70. Now THAT would have been a waste. 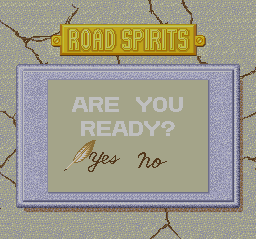 If you simply must race randomly around the world, and are NOT looking for any kind of a gaming challenge, you might be able to buy a copy of Road Spirits here. WiiWare -- One new title, Pinocchio's Puzzle, which retells Carlo Collodi's classic tale one jigsaw puzzle at a time. Up to 4 local players can participate in assembling the puzzles, but there's not a lot of entertainment value on offer. DSiWare -- Two new titles this week. Escape Trick - Convenience Store is a mini-adventure game, in which the player must solve puzzles to escape his own workplace. Rated E with "mild language," so Clerks this is not. Play & Learn Chinese is a language-education game, with vocabulary drills and other exercises. 3DS eShop -- The DSiWare titles are also on the 3DS, as always, along with the oddly-titled 3D Classics: Kirby's Adventure, which as far as I can see is just the 8-bit NES Classic running on the 3DS. No three-dimensional effects are in evidence in Nintendo's publicity materials. It's a great and underappreciated game that came out in 1993, late in the NES' life cycle -- I've played through it on the Wii Virtual Console, and it's a fine choice for portable play. I just don't see what qualifies it as a 3-D Classic. XBox Live Arcade -- One new game this week, Xotic, a colorful first-person shooter with some RPG elements. One of those games that, at first glance, would have been a retail title once upon a time, but now qualifies only as a digital release. PS3 on PSN -- Three new titles this week. Telltale Games' Jurassic Park: The Game, an adventure game heavy on the Quicktime Events (i.e. Dragon's Lair-style button-pressing challenges) is the big one -- it tells a new story set around the events of the first movie. I am anxiously awaiting some free time to play the PC version, hopefully this weekend. If dinosaurs don't appeal, PS3 owners also have Hollywood Squares, based on the long-popular TV game show, and Burgertime World Tour, updating the classic Data East arcade game. PSOne Classics -- A new game this week, Human Entertainment's 1998 strategy-RPG Vanguard Bandits; I believe this is the US version, localized by Working Designs in 2000. 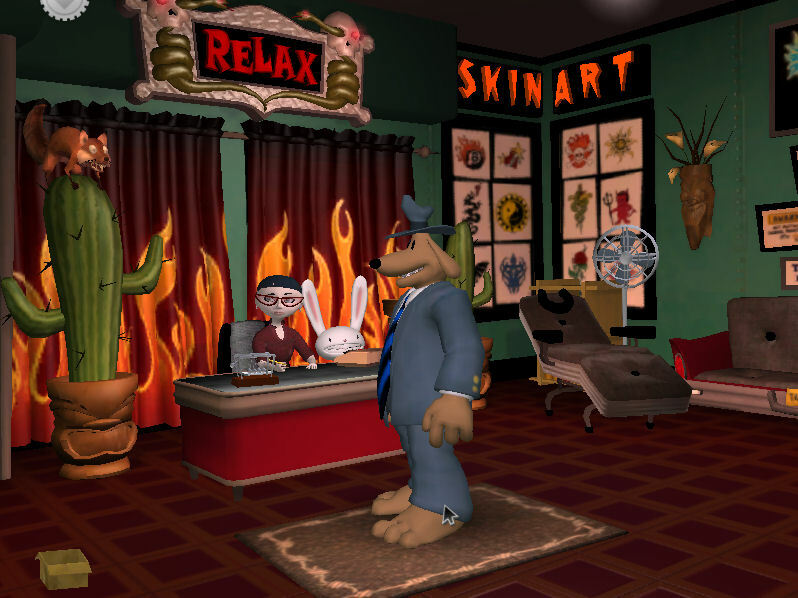 When Telltale Games decided to revive the adventure genre on a commercial basis, fans of the Lucasarts point-and-click era were thrilled to hear that new Sam & Max adventures were on the way. The first episodic series (of three to date) started coming out five years ago, and Telltale has always published its own official walkthroughs, so I'm comfortable starting to cover these still-commercially-available games with my usual spoiler-heavy approach. The writing in episode 101 isn't as sharp as it would become later, either -- there are lots of objects to click on, with appropriate commentary, but many of the incidental jokes fall slightly flat. Telltale's team would learn to focus and edit the experience more effectively later on, and by the third season would adopt an art style more in tune with Steve Purcell's cult-classic comics. But the best lines sound like classic Purcell, and the bright cartoon style works given the state of the Telltale Tool at the time. I played the first series originally on the Nintendo Wii, and was expecting to see a little bit of graphical improvement on the PC -- but while the framerate is visibly better on my aging laptop, some of the textures are still visibly low-res. The first puzzle is introductory in nature, giving players a chance to familiarize themselves with the interface, as we discover that resident office rat Jimmy Two-Teeth is holding Sam and Max's phone for ransom, preventing any calls from the commissioner that might set the story in motion. He demands swiss cheese -- fortunately, our Freelance Police have a closet full of some other sort of cheese, and plenty of ammo. With the post-gunplay "swiss cheese" delivered, Jimmy ups his demands, and Max takes matters into his own slippery little hands. With the phone back in working order, Sam learns from the commissioner that something is amiss down at Bosco's convenience store. This is our first encounter with Bosco, the paranoid conspiracy theorist who runs the place and plays a significant role in the first two seasons. He's concerned about a "terrorist" who's been stocking his store with unwanted, unauthorized Eye-Bo videos by a pop guru named Brady Culture. The "terrorist" is a former child actor who played the character known as "Whizzer" on a 1970s TV show, known as such for his speed of movement as well as his bladder control difficulties. 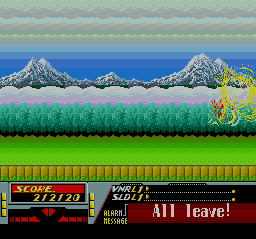 There's some nice animation here as Whizzer zips in and out, with very cartoonish motion blur. We can see Stinky's diner across the street, which will outlast Bosco's store as the series progresses, but we can't actually walk over there this time around. Another of the Soda Poppers, "Specs", is outside spray-painting graffiti of Brady Culture and his hypnotic stare on a vacant building's window shutters. He's rather obsessive about his work, and can be easily distracted and made to mess up, but we'll have to figure out what to do with him later as well. 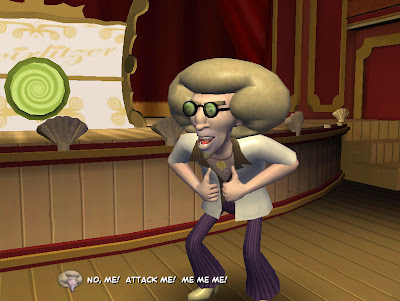 West of Sam & Max's (well, to the left onscreen anyway) is the establishment of Sybil, who in keeping with her namesake changes jobs every episode these first few seasons. She's currently operating as a licensed psychotherapist, after a recent stint as a tattoo artist. But the third Soda Popper, "Peepers," has locked her in the closet and is claiming to be her, using her position of supposed authority to promote Brady Culture's Eye-Bo videos. A trend seems to be emerging here. After Sybil is rescued from the closet, which isn't really a puzzle, she suggests that maybe Peepers has been hypnotized. And that knocking him unconscious might bring him out of it. But we can't just drop a bowling ball on his head, as much as Sam and Max would like to; at least, we can't do this onsite. 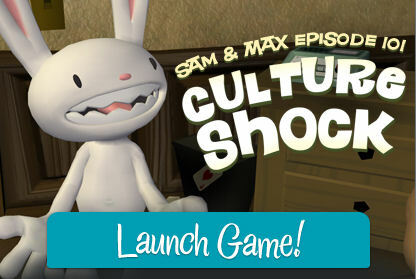 Back at the office, Sam and Max almost watch the Eye-Bo video before getting distracted and leaving -- but they leave the tape running, and Jimmy Two-Teeth gets hypnotized, so now we know something about Brady Culture's nefarious plot. 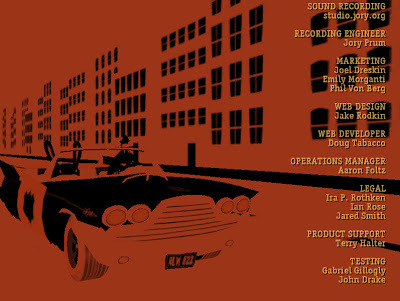 Of course, this wouldn't be a Sam & Max game if we couldn't cruise around in the open-top DeSoto, firing our guns at random and pulling over random motorists. We have to rear-end someone to slow them down enough so we can intercept them, then shoot out a taillight, pull 'em over and demand a $10,000 fine be paid. The first person we do this to, fortunately, decides to just pay up, which will come in handy later on. Back at the convenience store, Sam can engage Bosco in a funny, extended series of "Do you have any..." conversations, with in-joke references to other point-and-click adventure games, such as "Do you have any vegetables in the shape of famous naturalists?" alluding to Sam & Max Hit the Road. With the $10,000 confiscated earlier, we can buy Bosco's Tear Gas Grenade Launcher, which (also establishing a trend for the series) turns out to be a salad shooter filled with onions. 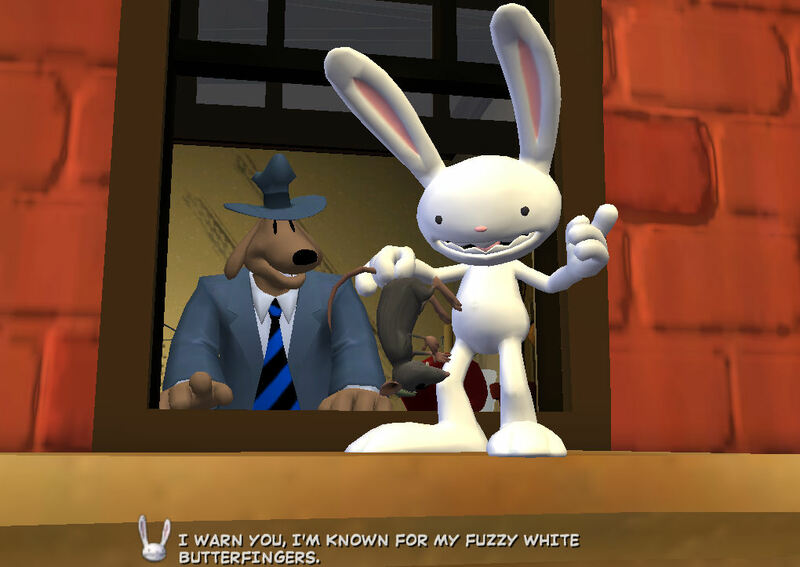 But it'll work -- at least, it's sufficient to blind the wide-eyed Peepers long enough to hit him with the boxing glove from Sam & Max's office. 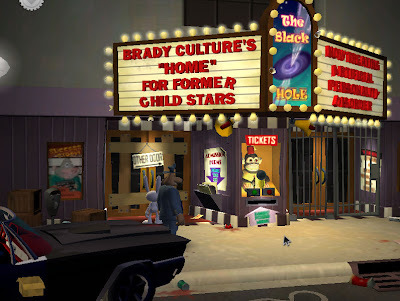 He wakes up and remembers going to Brady Culture's Home for Former Child Stars, but he can't remember where it's located. As a reward for her rescue, Sybil agrees to psychoanalyze Sam. We can select various psychological tests for our canine hero to take, but there's no immediate reason to do so, so we will come back to this later. We can knock Whizzer out by putting some of Bosco's cheese in his video crate, so that when he tries to leave the store to restock he gets knocked out by Bosco's B-TADS automated anti-shoplifting defense system. We learn from the semi-coherent Whizzer that Culture's operation is at number 227... on some as-yet-unknown street. Now we have to work on Specs. 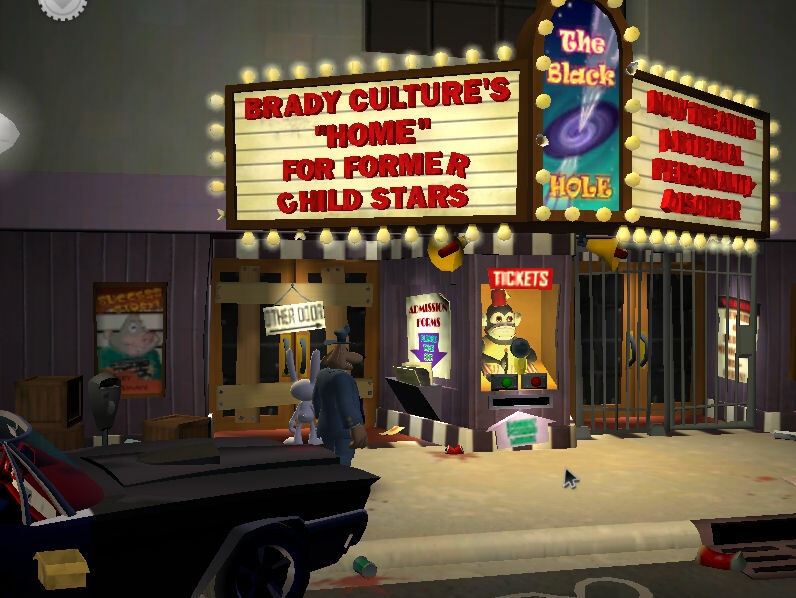 If we can deface the Brady Culture painting right below Sam and Max's office window, we can probably drop a bowling ball on his head while he's fixing it. How can we do that? We can watch the TV in the office to see four segments of a show called "Oh, Is He Still Alive?" that provides background on the Soda Poppers and Brady Culture. Most importantly, we learn that Culture's Clubhouse used to air in the same time slot taken over by the Soda Poppers, so Brady is working with his old rivals. 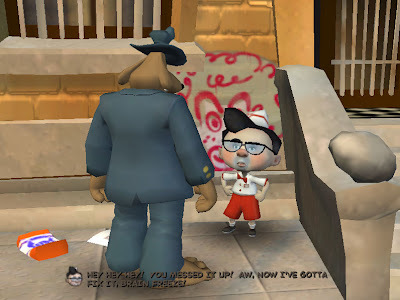 Exploring again, we encounter the only bit of obscure pixel-hunting in Sam & Max 101 -- we have to notice a can of spray paint sitting on the fender of a car parked behind the DeSoto. I was trying to distract Specs so I could steal his spray paint, or shoot the Brady Culture graffiti conveniently placed below our office window to damage it, but this item is what we actually need. Now we can enter Brady Culture's domain. He appears playing a theatre organ, ranting about his evil scheme, and hypnotizes Sam into becoming his new video delivery man. In the role of Max now, we clearly need to snap him out of it, but his weapons are gone and he's on auto-pilot, delivering videotapes indefinitely. Snagging a piece of cheese from Bosco's sale table triggers the B-TADS system, knocking Sam unconscious for a bit and sending us into a dream version of his office, where Brady Culture (the "intruder in your dreams") holds sway and has taken over Max's body. Back in control of the dream Sam, we must turn off the light switch to turn off the Brady head haunting the ceiling fan, pull the coat hanger off the TV to interrupt the broadcast Brady, and pump up a rat to eat the Swiss Cheese Brady lurking in the closet. The last bit is trickier -- Max's head is floating near the ceiling, while his body with Brady's head is on the floor. Sam can turn the upward-pointing One Way sign on the wall to temporarily invert gravity, but it doesn't last. Sam must stand directly below Max, and SHOOT the sign to spin it so that he can catch him. 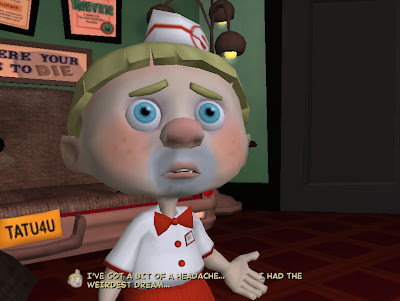 In a rather disturbing vignette, Max's head eats Brady's head, and Sam wakes up as his old self in Bosco's Inconvenience Store... to find that Max has been kidnapped! We need some kind of anti-hypnosis device, but Bosco doesn't have anything for us. Sybil has a blueprint for such a device, featuring a colander fairly prominently, but Sam has no clue about how to assemble it. Fortunately, Bosco does, and just needs something for an antenna. The coat hanger comes in handy yet again, and Bosco delivers without charging a cent, as he's paranoid about Brady Culture too. The climax takes place at the "Home" For Former Child Stars. Sam's spiffy new helmet defeats Culture's hypnotic rays, but when the Soda Poppers arrive to challenge him, he hypnotizes them again and they attack Sam. Fortunately, Sam can duck out of the cartoon fracas and interrupt them with the punching glove. He can order them to attack or become various people and items... getting them to Become Brady Culture introduces the topic of worship to the available options. Now we can direct the Soda Poppers to worship Sam, causing Brady to react with a "No! Worship me! Me me me!" And then we can pull a classic Bugs Bunny/Daffy Duck maneuver, by directing the Soda Poppers to attack the videotapes, causing Brady Culture to say, "No! Attack me!" and ending the chapter. As our heroes wrap up this adventure, a TV set gives us a glimpse of Culture's continuing evil, as a talk show audience seems to sit in rapt -- perhaps hypnotic -- attention. The end credits roll with the Soda Poppers' TV theme song playing, and the credits end with dedication in memory of Karyn Nelson, 1965-2006. 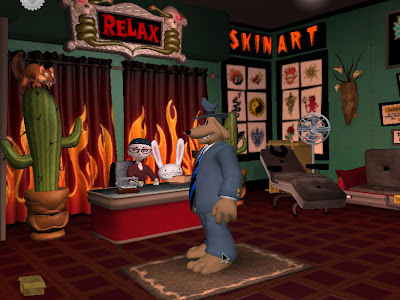 I have always loved Sam and Max, going back to my first encounter with Steve Purcell's work in comic book form in the late 1980s, and I am very happy these characters have been successful in the adventure game genre. This first Telltale game is on the easy side, but it's still very, very entertaining, and I look forward to replaying the others as they age into retro-relevance here. Our page-by-page journey through the Spring 1981 Adventure International catalog is nearing its end, but it's not exactly a 32-page catalog, so we won't quite wrap it up today. 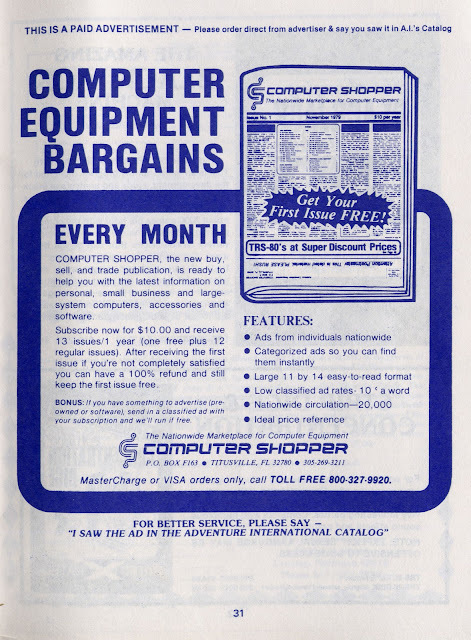 Page 31 is a promotion for what has to be the world's longest-running computer magazine -- Computer Shopper, which was founded in 1979 and at the time was essentially a classified-ad publication for individuals to sell and trade. It has grown with the industry, though it's been impacted by (and has adapted to) the Internet like most other print publications. The Amazing Blackjack Machine was not just a game, but a statistical package to allow players to develop and test strategies for beating the house at the one casino game where skill can make a difference, with printable data for detailed post-game analysis. 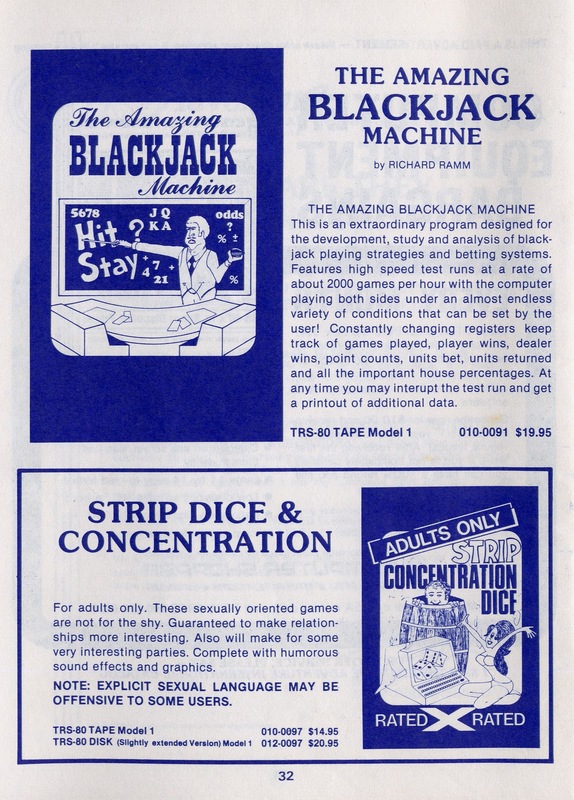 Strip Dice & Concentration was in the grand tradition of 70's "naughty" party games, wherein players were encouraged to remove clothing and, um, get to know each other better. The ad copy notes that EXPLICIT SEXUAL LANGUAGE MAY BE OFFENSIVE TO SOME USERS -- but I always say, if you find explicit sexual language offensive, don't use it! And this TRS-80 game purportedly includes humorous sound effects and graphics -- given the system's 128x48 black-and-white display, I'm glad they didn't try to make the graphics anything but humorous. Next weekend, I think we'll be able to wrap up this trip down memory lane. So I'd better start digging through the archives for something else to share! 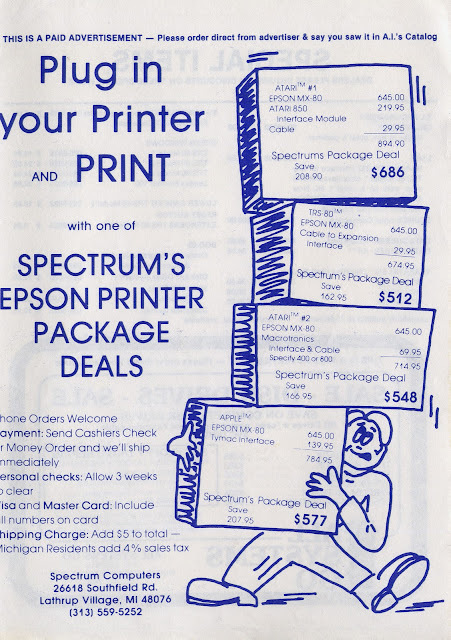 We've been walking through the Spring 1981 Adventure International catalog, a few pages at a time, and the next few pages provide some insight into the structure of the home computing industry at the time. There's no room for description of many of the products listed here -- we are briefly told what MUSIC, QUAD and ATERM are, but the language education programs and cryptically-named utilities are left to our imaginations (SBT? NUMB? EDAS?). Everest Explorer was a simulation game that didn't directly compete with Adventure International's core product line, and Superscript was an enhancement patch for Radio Shack's popular SCRIPSIT word processing package, which I have previously written about in more detail here. Page 30 is really unusual -- Scott Adams devoted a page of his own catalog to disavowal of an apparent endorsement in another company's magazine advertisement. Apparently a disk drive vendor named Level IV Computing had changed hands since doing business with Adventure International once upon a time, and Mr. Adams was not pleased with the company's continued use of his name under its new management. The industry was young, and everything was novel at the time; even advertising etiquette was sometimes a little off-the-cuff if not intentionally shady. Tomorrow, we'll look at a few more pages -- I hope this series provides memories for some, and history for others. 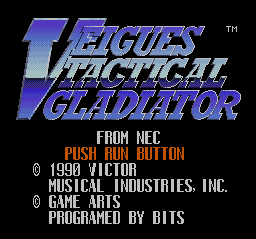 I never owned Veigues Tactical Gladiator for the TurboGrafx-16 back in the day -- if I recall correctly, the preview video at Babbage's put me off the game at its original $49.99 retail price -- but I recently imported the PC Engine version. 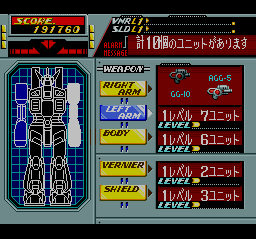 This HuCard-format mech-themed scrolling shooter was developed by Game Arts (of Thexder fame) and Victor Musical Industries, and brought to the West by NEC. There's nothing really Tactical about the gameplay -- it's a straightforward side-scroller -- but there are some strategic RPG-lite options available as we decide how to upgrade our mech between levels. 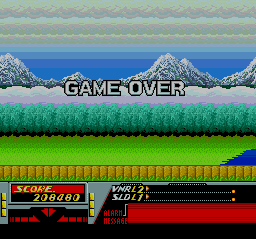 The visuals are repetitive -- likely due to cartridge space limitations -- but solid, with no flicker and impressive parallax background scrolling (up to five layers, though only a few planes ever overlap, and during the mech's brief vertical leaps the illusion of depth is compromised.) The chiptune music is pleasant and appropriate -- there's an intentionally beepy/boopy pure-sine-wave character about some of the instrumentation that fits the robot theme well, and several tunes are memorably catchy. 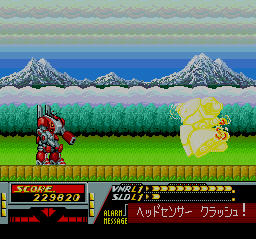 Veigues Tactical Gladiator does a good job of reminding the player that a giant robot is an unwieldy fighting machine -- we can leap up into the air by pressing up on the D-pad, but these jumps are brief and we plummet back to earth almost immediately. Unfortunately, this philosophy extends to all the controls -- we can't crouch, because turning left and right requires pressing down on the D-pad to face the other way. We have two types of weapons, a long-range bullet and a short-range cannon, each assigned to one of the PC Engine's two fire buttons -- but both only fire straight ahead and are not much use against many of the enemies we encounter. We're out of buttons, so firing our weak auxiliary guns requires pressing both fire buttons simultaneously -- we begin firing at a downward angle, but can press up and down while holding both fire buttons to change the aim. It's suitably challenging for those inclined to master the controls, but it tends to feel like we've brought a tank to a knife fight a lot of the time -- and the knives are winning. The game's serious mech theme extends to its damage model -- we can lose the Tactical Gladiator's head and one or both of its arms if they sustain too much damage. But there's no way to recover these lost components mid-level -- we can fight a boss headless easily enough, but if our arm-mounted weapons are lost we're severely handicapped. Conserving energy during play earns points which can be used to upgrade various aspects of our mech between levels -- it costs more to upgrade our weapons, less to upgrade our shields, and this does provide for some strategic elements. 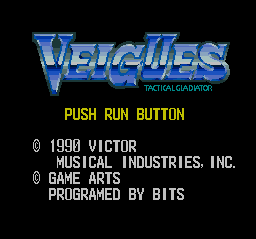 I don't expect to see a revival of interest in Veigues Tactical Gladiator any time soon -- it's not a forgotten classic, by any means, and after a few hours with it I wasn't making much progress, nor was I having enough fun to continue battling the controls. But it is an example of a certain era in videogame technology and Japanese pop culture, and notable as one of the more unusual PC Engine titles NEC (in its finite wisdom) brought to the US TurboGrafx-16.